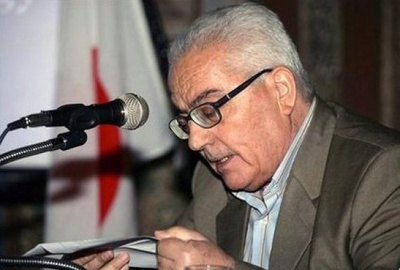 On 18 August 2015 Dr Khaled al-Assad, retired director of the Palmyra museum and an officer of the Directorate General of Antiquities and Museums, had his neck cut and his body hung from a traffic light pole. The 83 year-old archaeologist had been held in seclusion (and probably tortured) for three weeks. 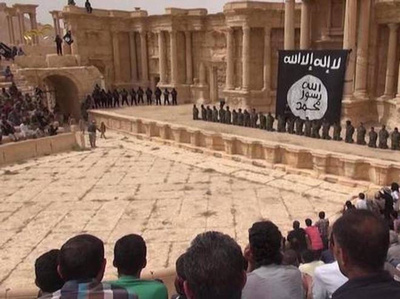 In the public square of Palmyra an accusation was read out that he was “the director of pagan idols”. Khaled al-Assad had been born in Palmyra and had spent most of his career there, writing numerous articles as well as directing archaeological sites. He had few rivals in his knowledge of the ancient crossroad city of Palmyra, an important link on the trade routes between Asia, North Africa, and Europe. The public killing of Khaled al-Assad renewed concern for the historic sites. It was widely believed that many of the sites had had explosives placed in them to provoke their destruction. Sites in Palmyra had already been damaged during the fighting in the Spring as the soldiers of the Islamic State in Iraq and Syria (ISIS or Daesh in Arabic) took control of the city and the surrounding area. Then on 23 August, some of the explosives were set off, damaging the important Temple of Baal, one of the most visited sites in Palmyra. Baal – the Lord of the Heavens – was represented by an eagle. He was also a storm god shown holding a lightning bolt in his hand. From a distance it is hard to know what elements within ISIS are responsible for the destruction and what are the motivations. ISIS has attracted fighters from a good number of countries, and it is impossible to know the chains of command or the motivations. Many Syrians are proud of the vestiges of pre−Islamic civilizations, proof that the area was an important actor and in some ways a rival of Rome. The Directorate General of Antiquities has some 2,500 employees with a record of preserving Syria's cultural heritage. In addition, some Syrian citizens, risking their lives, have tried to defend heritage sites or to hide away cultural objects. Moreover, ISIS agents as well as persons belonging to other armed factions have been looting objects to sell outside the country either for personal gain or to finance their political faction, rather than destroying them. Thus it is not clear who wants to destroy works of art and cultural heritage. 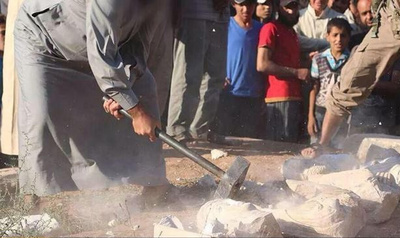 Are there sincere iconoclasts for whom any object that recalls pre-Islamic worship is an insult to the Islamic faith? Are there people who just want to destroy and will blow up most anything? Are there people who believe that public killings and destruction of heritage will facilitate military expansion and control of the population? Is there any possibility of rational discussion and good-faith negotiations with ISIS authorities to preserve cultural sites in Syria and Iraq? Conserving a cultural heritage even in times of peace is always difficult. Weak institutional capabilities, lack of appropriate resources and isolation of many culturally essential sites are compounded by a lack of awareness of the value of cultural heritage conservation. On the other hand, the dynamism of local initiatives and community solidarity are impressive assets. These forces should be enlisted, enlarged and empowered to preserve and protect a heritage. Are there ways that those of us on the “outside” can reach those in Syria and Iraq who wish to preserve cultural heritage and to defend the lives of those who work to preserve protect and inform? My belief is that the current military action against ISIS, either with ground troops or bombing from the air, will have little positive impact. Armed force may lead some of the ISIS forces to a “burned earth” policy, destroying as much as they can before retreating. I think that there needs to be initiatives taken by those currently living under ISIS rule but who do not share ISIS values. They need to take actions to show ISIS leaders that their policies are an error and will lead to greater divisions within the population. There is always a certain irony for someone in a safe area to encourage others to take actions which can put their lives in danger. Therefore, the least that we can do is to have a loud outcry from cultural workers throughout the world so that those in Syria and Iraq who will act positively know that they are not alone.